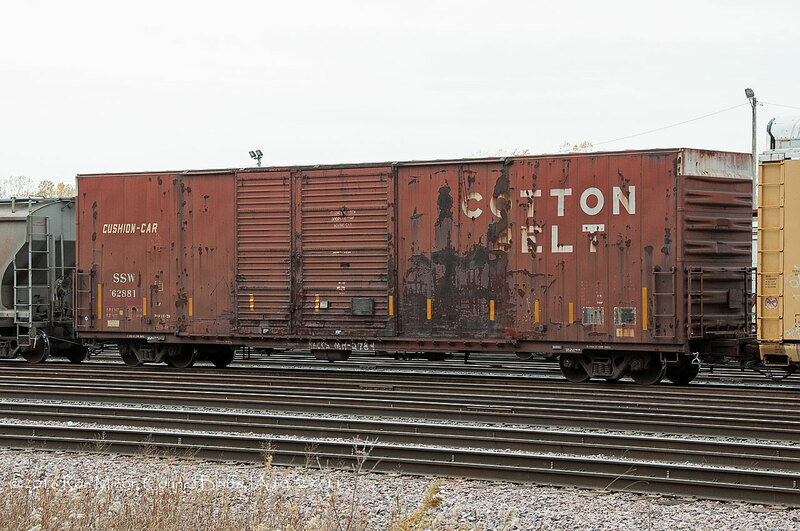 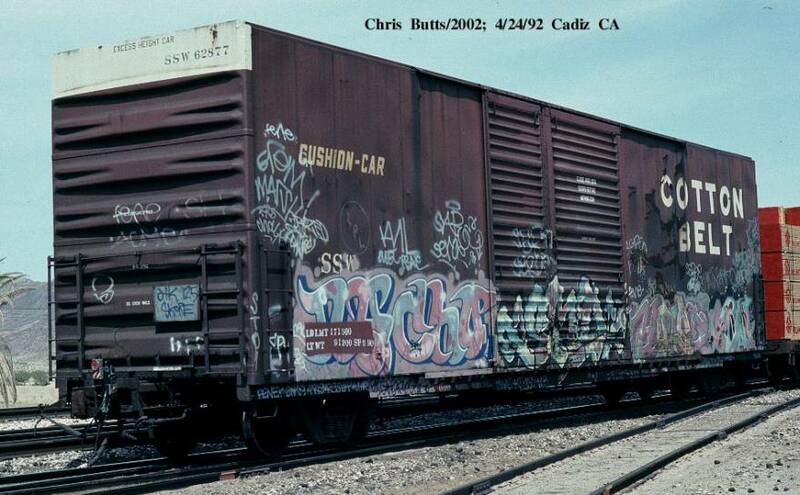 These 60'-10" hi-cube, auto parts box cars were built by PC&F in 1979. 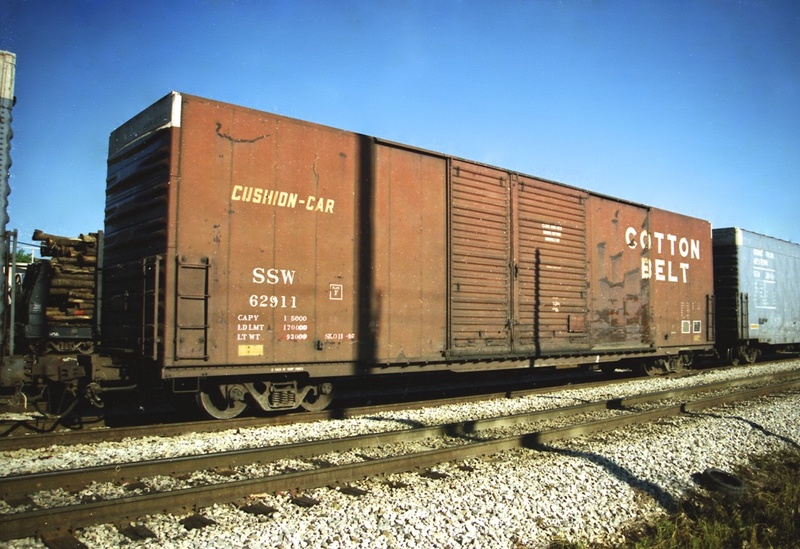 They featured 16'-0" sliding door openings (door and a half,) cushion underframes and 7295 ft3 capicity. 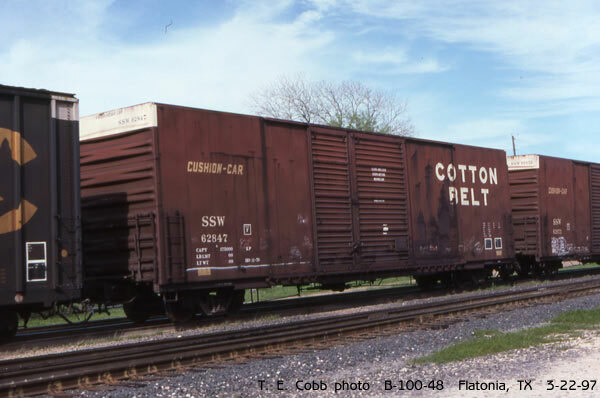 For those interested in modeling these cars, you can use Cannon & Company part BE-3002 for the ends. 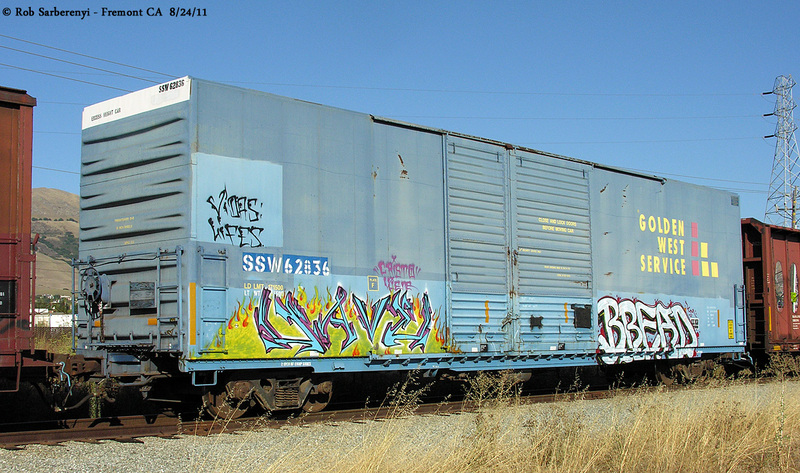 See David Olsen's fantastic walkaround series of photos of SSW 62901.